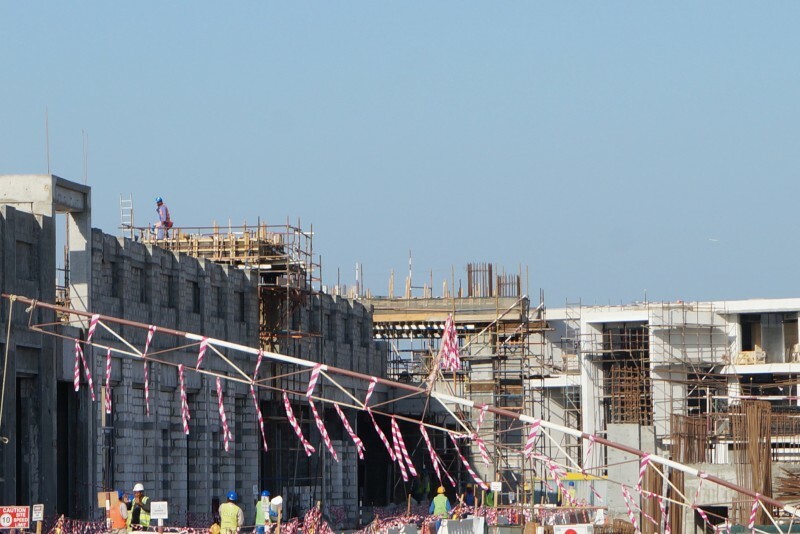 The Pointe is a 136,000 sq m retail and entertainment complex nearing completion at the end of the Palm Jumeirah opposite the Atlantis hotel. It will include residential homes, shops, cafés and restaurants, a multiplex cinema and a choreographed fountain display. 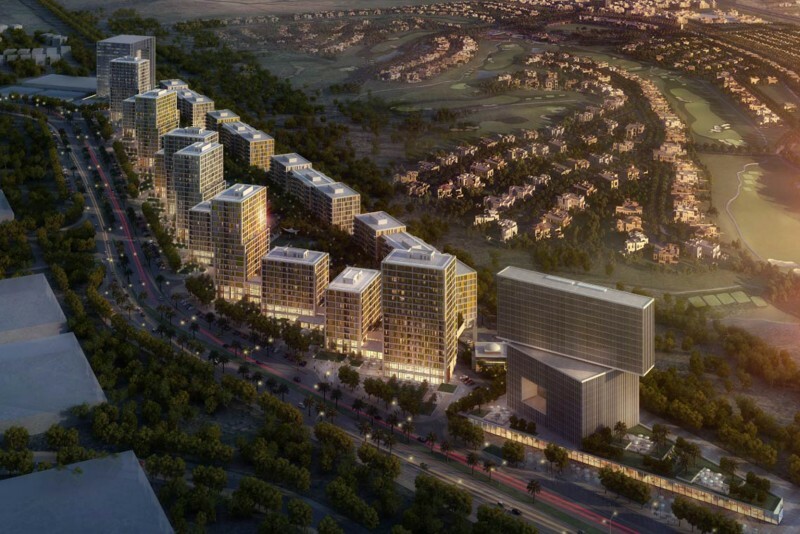 The mall complex comprises five levels of retail set along a 1.5km promenade. There will also be a roof top plaza with fine dining restaurants, a butterfly park and a direct link to the Marina Residences. It is to be connected to a 40-storey 5-star hotel with 300 rooms, a rooftop restaurant, swimming pool and lounge. The Pointe will be accessible via The Palm Monorail system, soon to be connected to the mainland tram system, as well as by water taxis shuttling visitors across the bay from nearby hotels directly to The Pointe's marina. 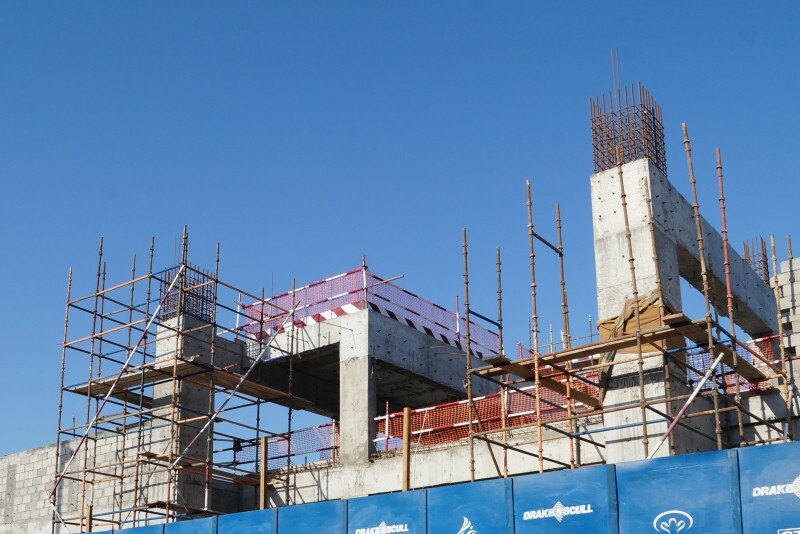 When in January 2012 property developer Nakheel launched The Pointe at an estimated cost of Dh300 million, the completion date was said to be in 2013. 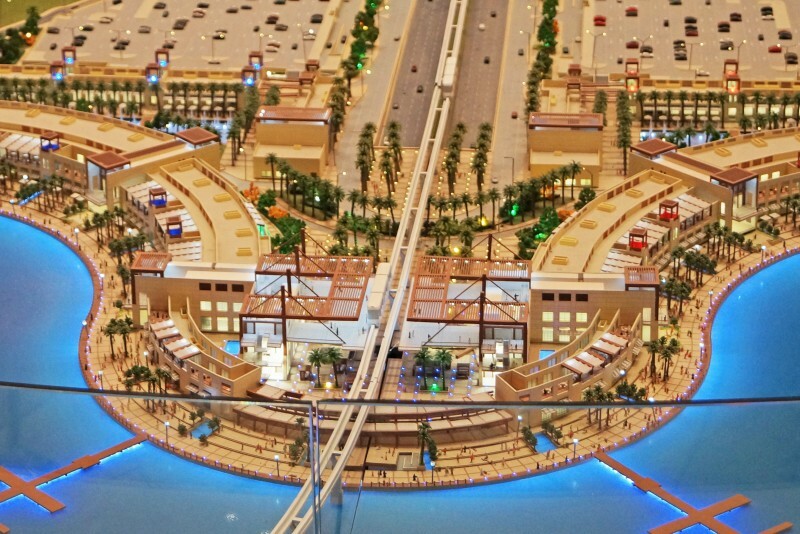 Plans included 120 restaurants, 75 shops, a landscaped areas for visitors, computer-controlled fountains in the sea, a new station for the monorail running up the centre of the Palm and parking for 1,200 cars. 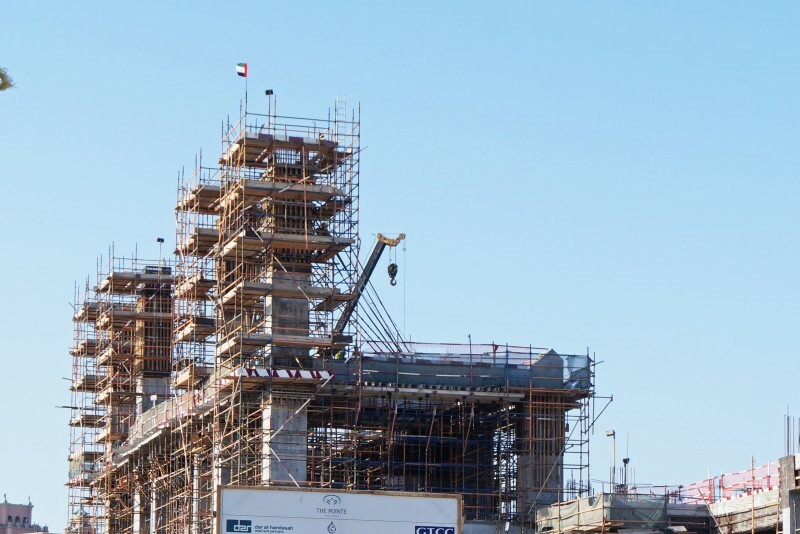 After some delay due to raising finance, the project was given the go-ahead in February 2013, at which time the estimated cost of the project had risen to Dh800 million. 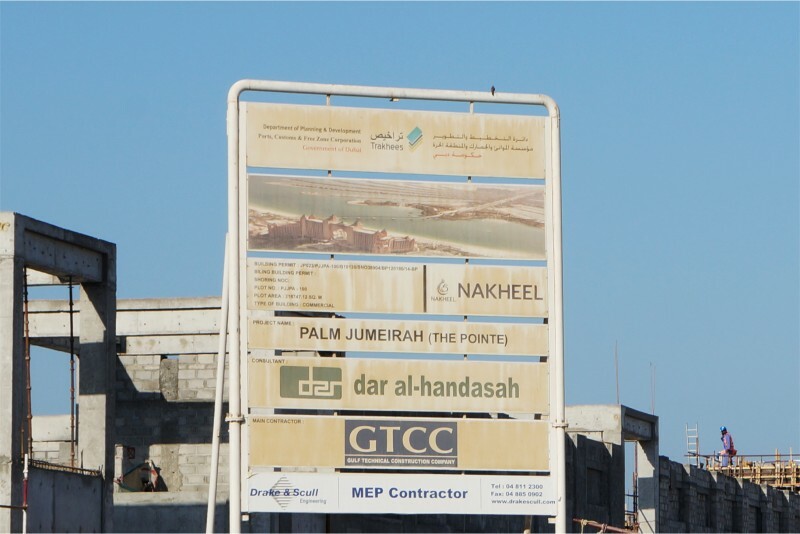 By the end of 2013 ground preparation work, which included vibro-compaction, topographic survey and factual site investigation work, was complete, and in February 2014 Nakheel awarded a construction contract worth almost AED375 million ($102 million) to Gulf Technical Construction Company (GTCC). Completion was then scheduled for 2016. 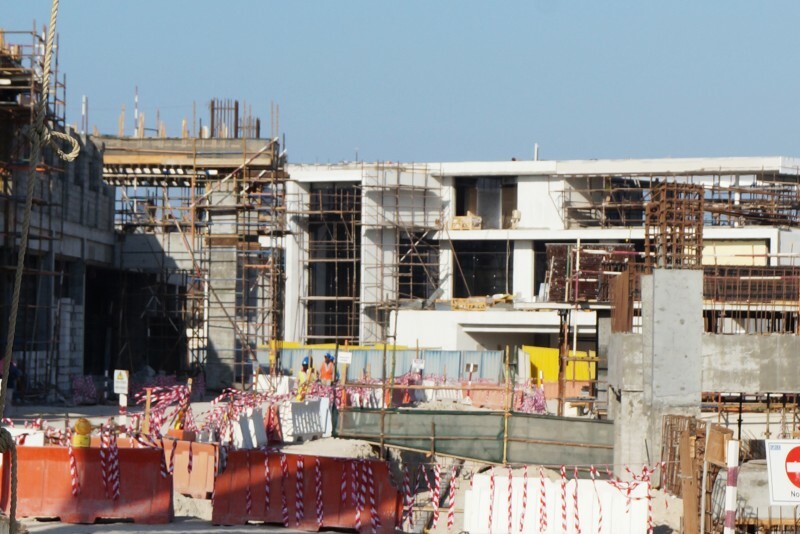 In August 2016 Nakheel partnered with Reel Cinemas to create a five-screen luxury movie and entertainment centre at The Pointe that will include the region’s first dine-in cinema. 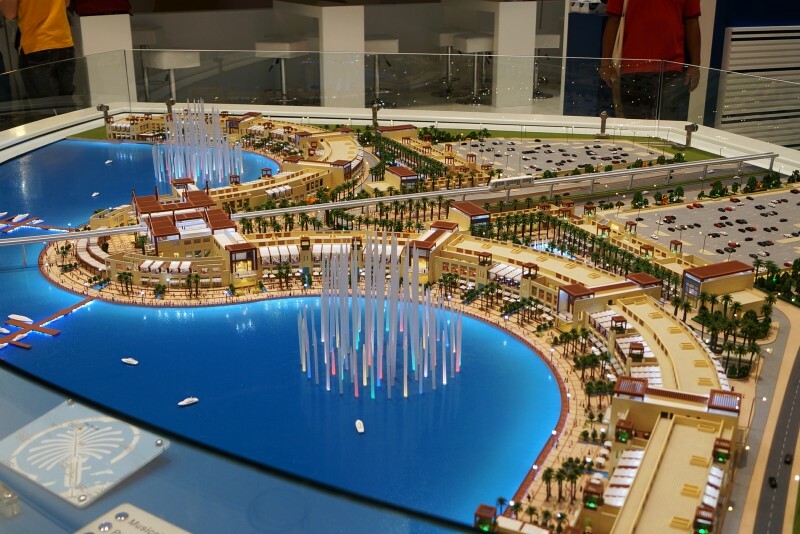 In June 2018 Nakheel signed a Dh66m deal with one of China’s largest fountain specialists, Beijing Water Design, for a dancing fountain covering a 12,000 sq m area of water at the tip of the Palm, across the bay from the Atlantis. The Pointe is now expected to open by the end of 2018.